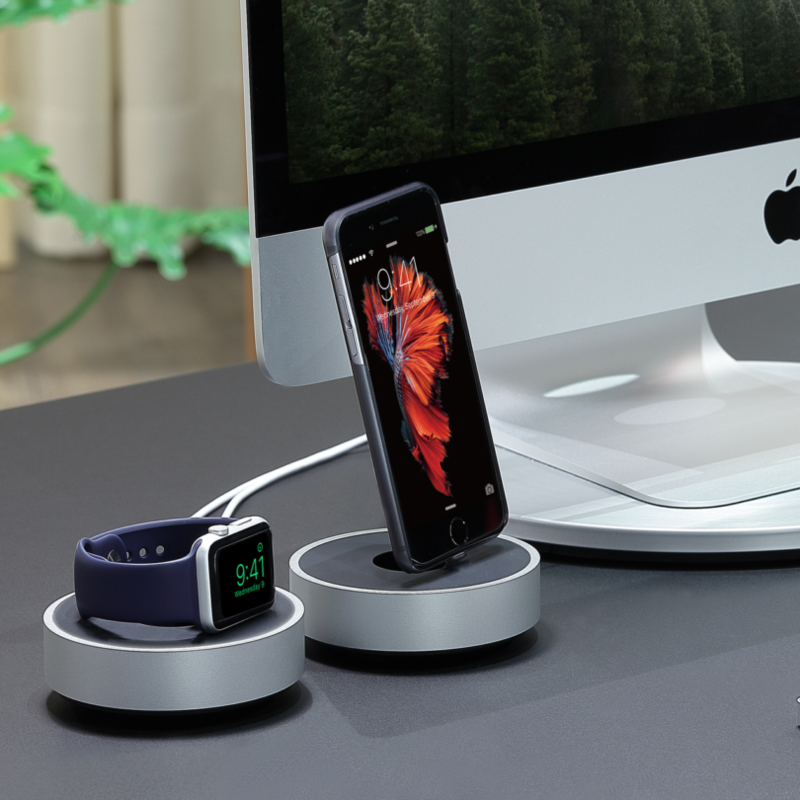 Refine your desktop with HoverDock, the low-profile charging podium for Apple iPhone. With a sturdy holder for your Lightning cable, HoverDock keeps your iPhone upright and charged – even when you’re using a case. Encased in an exquisite unibody aluminum disc, HoverDock has a hollow soft-touch plastic body with smart cable storage – adding a slice of minimalist chic to any tabletop. Case friendly, supporting cases as thick as 4mm. Use only original Apple Lightning cable, not included.